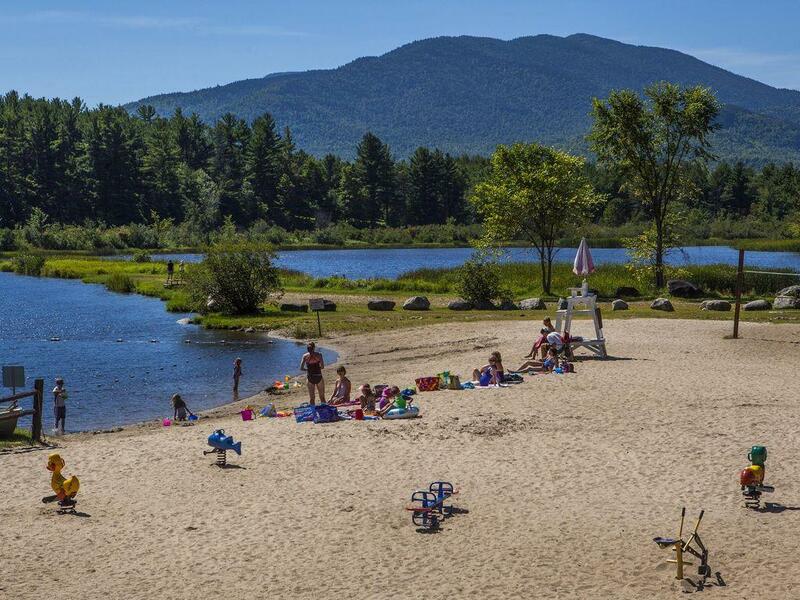 View of Whiteface from our beach! 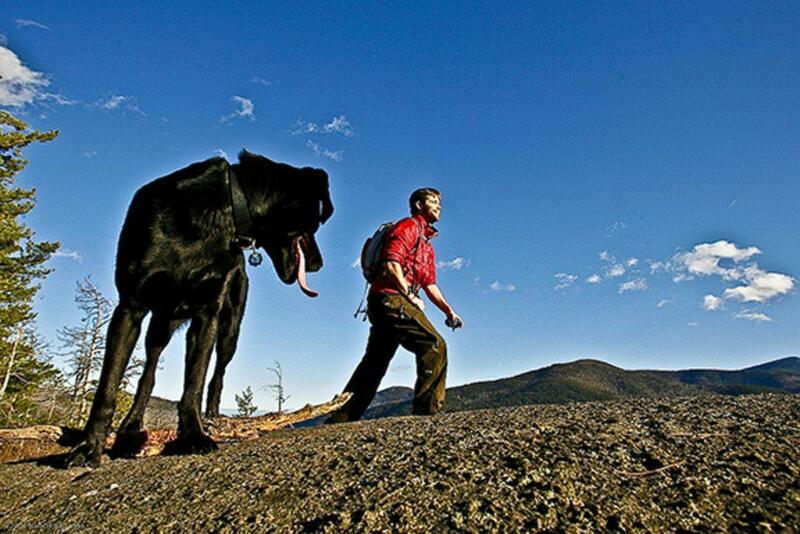 Hike the mountains! Whiteface is just 2 mi. from the home. 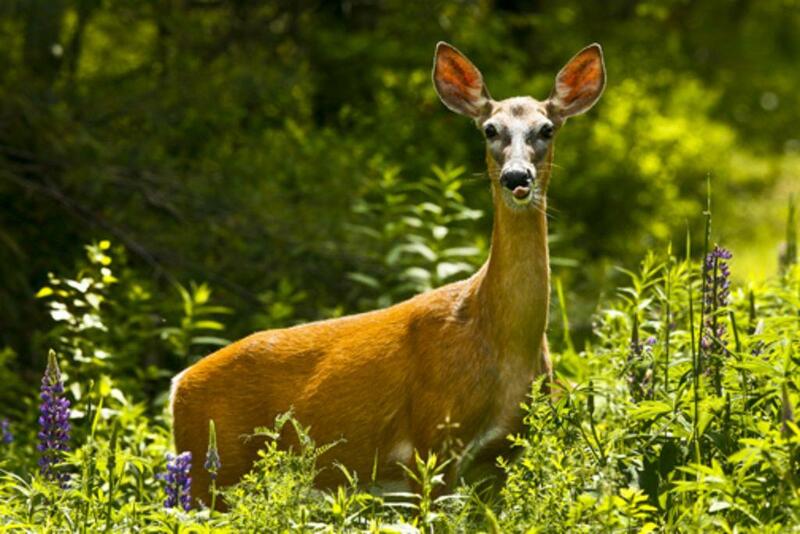 Nature all around the unit, wildlife, trails, water access, and mountains Skiing at Whiteface is easy, just 2 miles from the home Kayaks for the boat launch at Wilmington Beach Access to the playground for kids! Family friendly! Home has access to the beach AuSable river just steps away provides beach access: fishing, swimming and more! Two kayaks available, beach has a non motorized boat launch. Biking trails just min from the home. 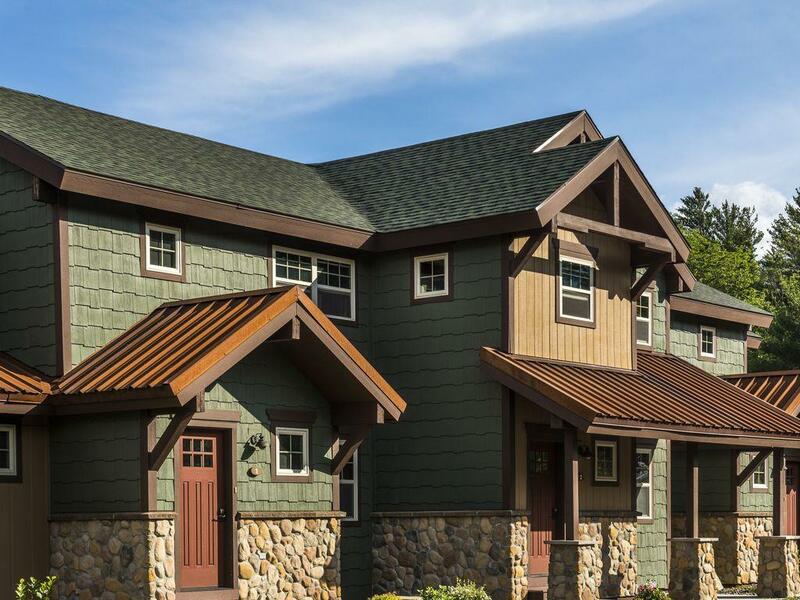 Newly Constructed - The Owaissa Club Townhomes makes a perfect four season Adirondack vacation experience. 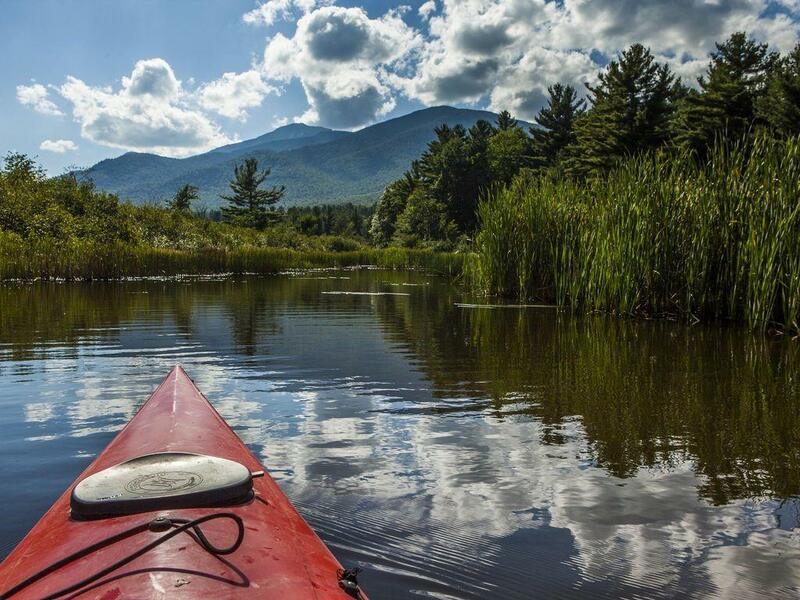 The views of Whiteface Mountain and the West Branch of the AuSable River are breathtaking. 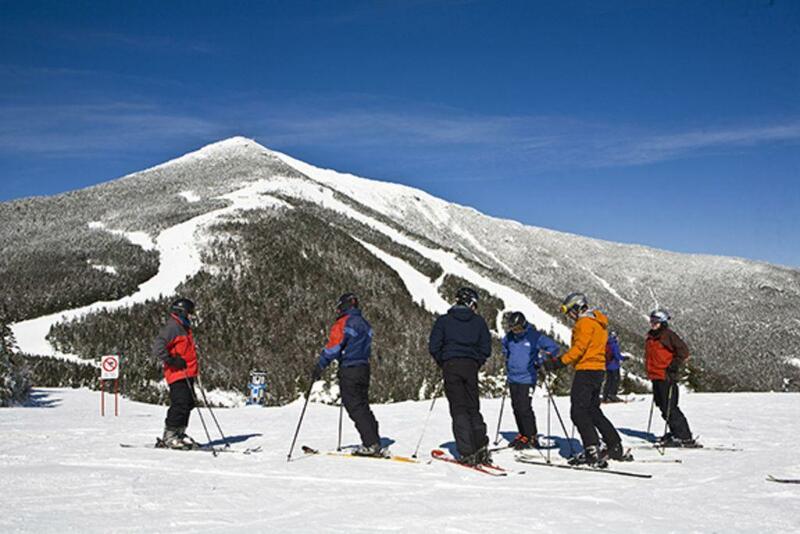 Whiteface Mountain was rated #1 resort in the Eastern U.S. by Ski Mountain and has more vertical skiing than Colorado’s well-known Vail Mountain Resort! 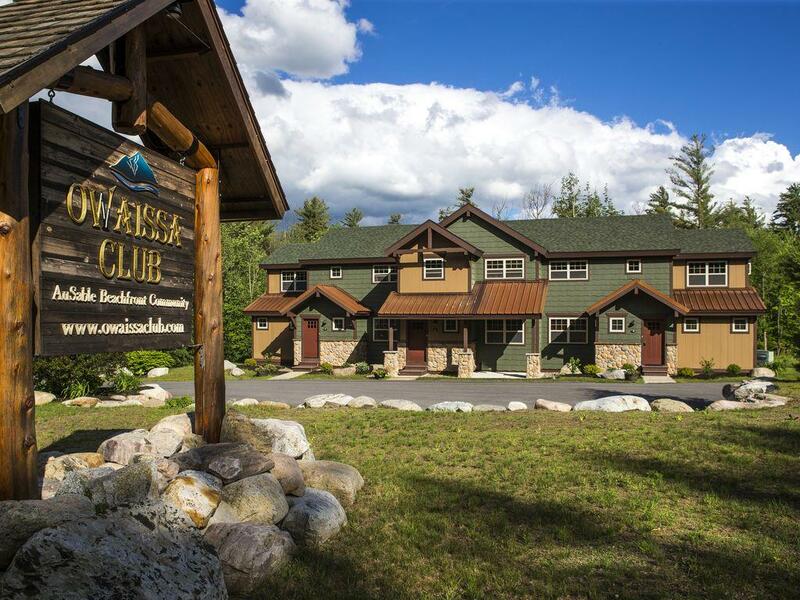 Known as the only ski and beach community in the Adirondacks, the Owaissa Club offers guests four-season recreation. 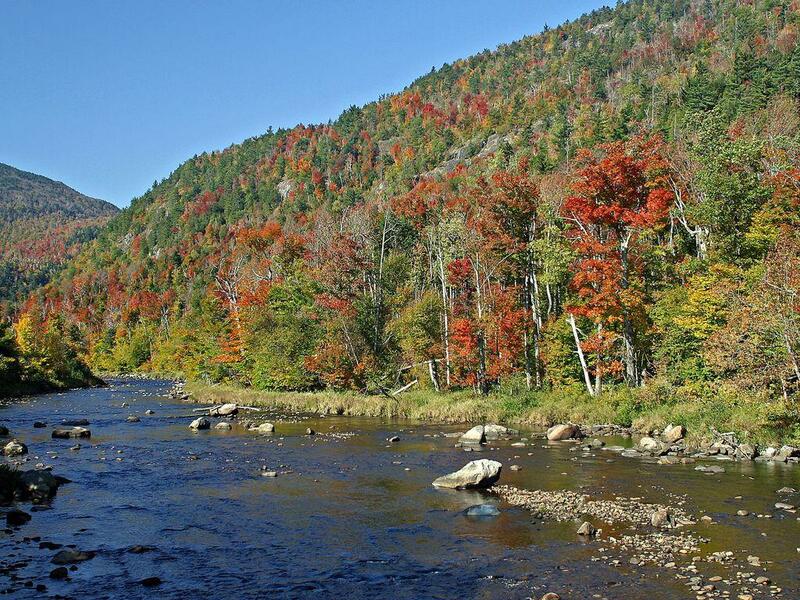 Enjoy spring fishing on the famous West Branch of the Ausable River. In summer, you’re just steps from the beach at the Lake Everest Town Beach - perfect for fishing, hiking, kayaking, and swimming. The Town of Wilmington has miles of bike lanes where you can ride with peace of mind and plenty of road to yourself. Come winter, the skiing and snowboarding at Whiteface Mountain cannot be topped. 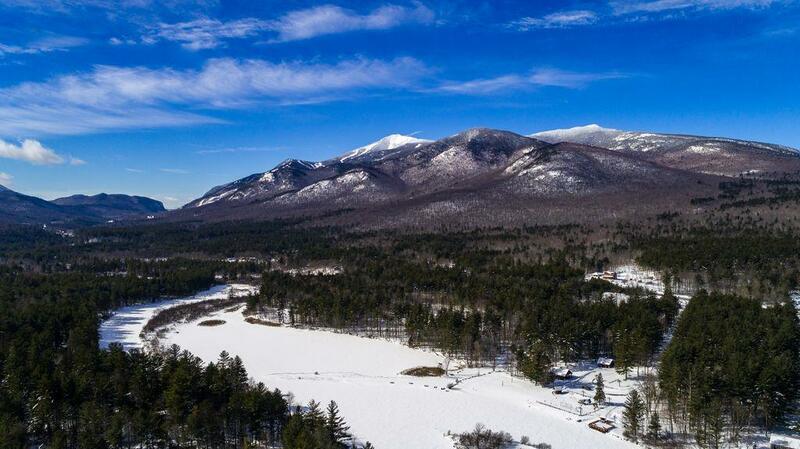 Fall hiking is outstanding with easy access to the Adirondack High Peaks, and for winter fun, there are no townhomes closer to Whiteface Mountain. 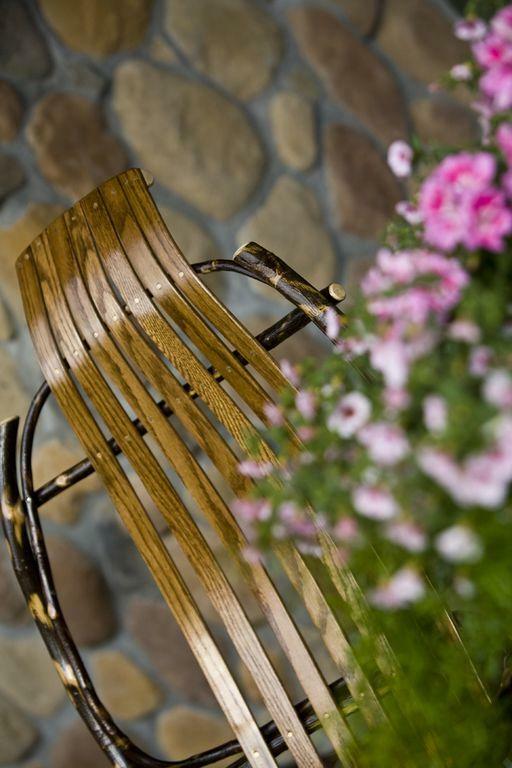 Entertainment is within close proximity as well, area shopping and restaurants - Downtown Lake Placid is just minutes from your townhome. Great place to stay. Roomy and nice, minutes to Whiteface. There were 9 of us, between 2 families. We were here for 5 days to kayak, hike, and hang out. Had to transport kayaks to beach. Not super far, but farther than you want to carry kayaks. Had to wash all dishes and glasses before use. They were dirty. 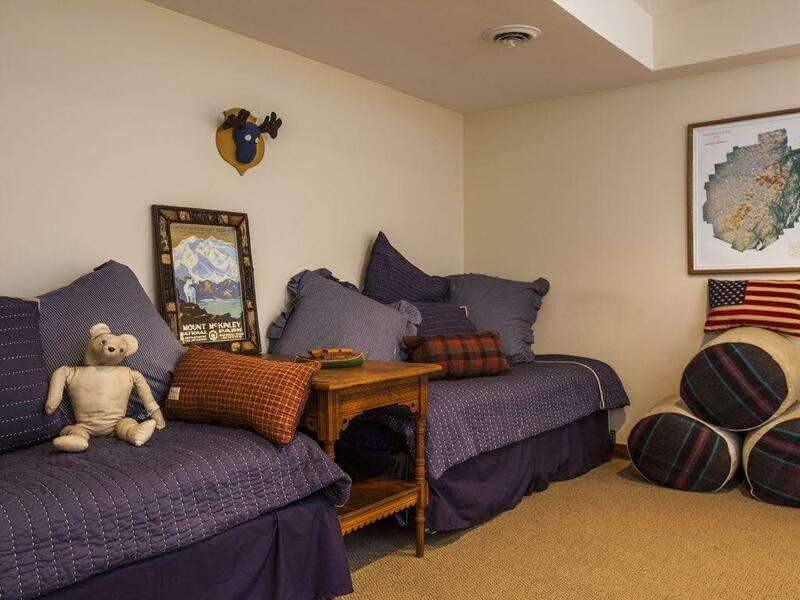 It should be noted that one of the bedrooms on the lowest level is a walk-through. It was fine for us because tow of the kids slept there. If it was an adult couple sleeping there, it could be awkward. We would definitely stay again. The place was clean and beautiful, the location is so convenient, and the river is so peaceful. The property had everything needed to be comfortable. Location is great for White face but I would have preferred it to not be next to main road. Definitely more of a winter location as no outside amenities were present. Would have been nice to have fire pit and furniture for the balcony. This condo was perfect for our New Year's vacation. We had four adult couples and the space was great. The mudroom was perfect for all our snow gear when we came back after a long day. 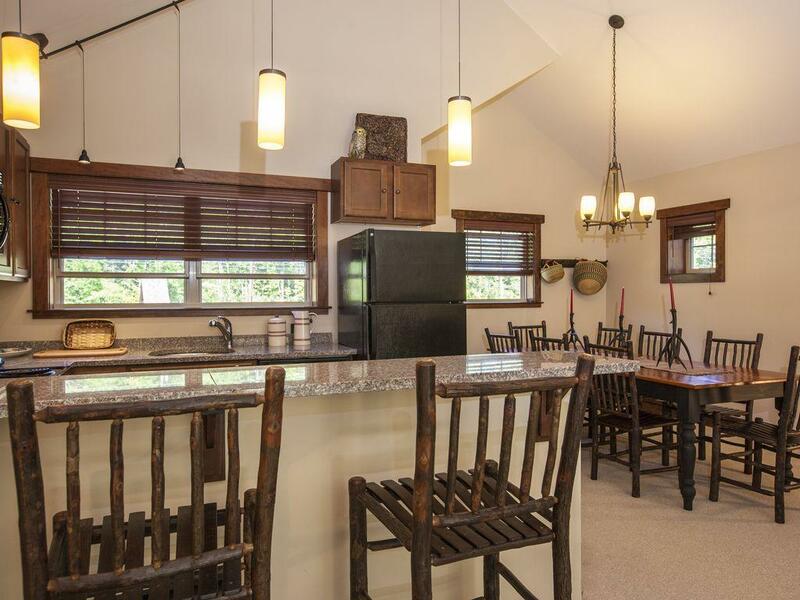 The family room/dining room and kitchen was a large area to hang out and relax all together! The booking process was very easy and the office answered any questions I had. Don, the property manager, was fantastic. He was always available when we had question before and during the trip. We used the grocery delivery service, which was fantastic, so that we did not have to pack groceries. 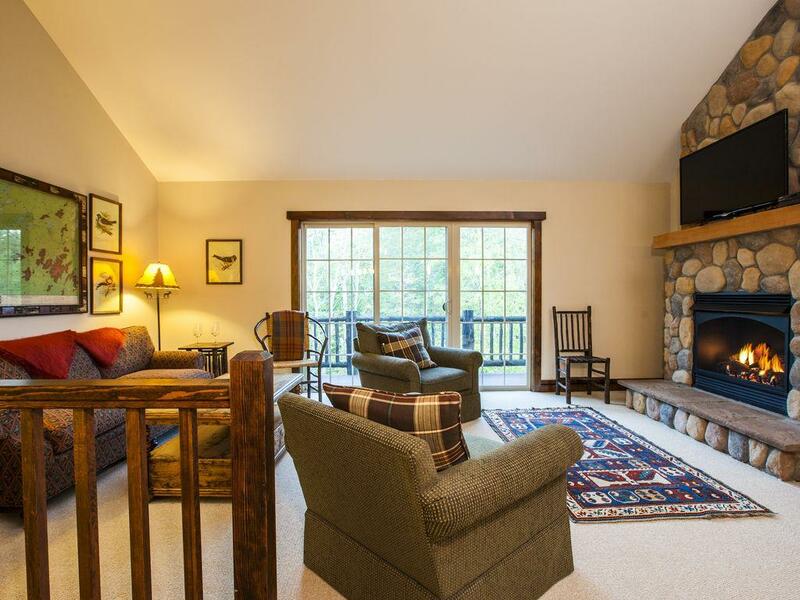 I would absolutely recommend this rental to anyone looking to visit the Whiteface/Lake Placid. My family has been skiing over 25 years, with our kids in tow. 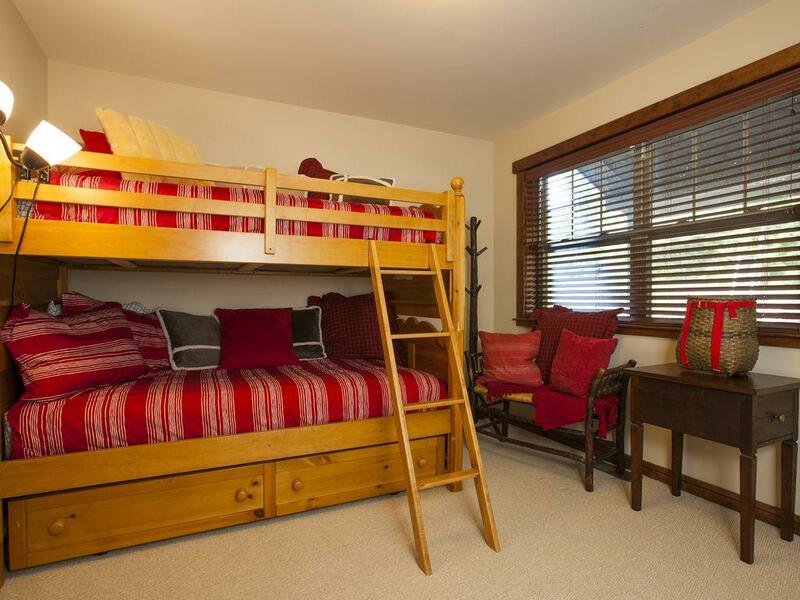 This a perfect location for anyone who loves to ski and relax, with the family or your spouse. The condo is spacious and soft. 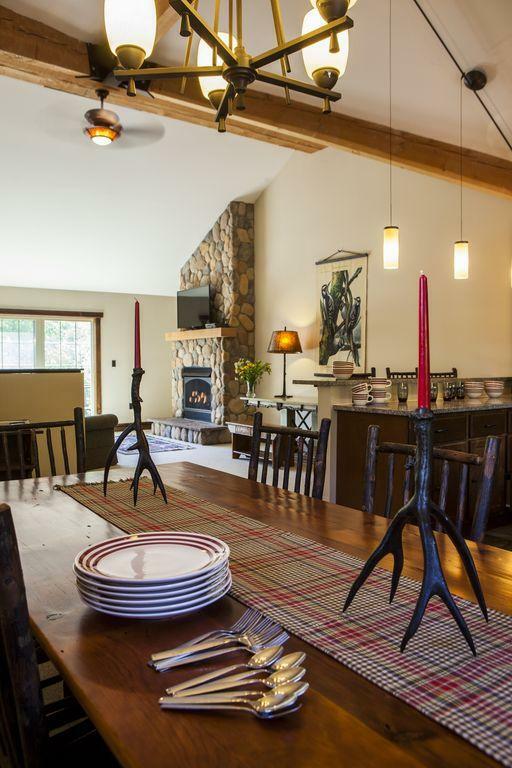 The dining area is perfect for quick dinner or entertaining after a day on the slopes, it is easy in and out. 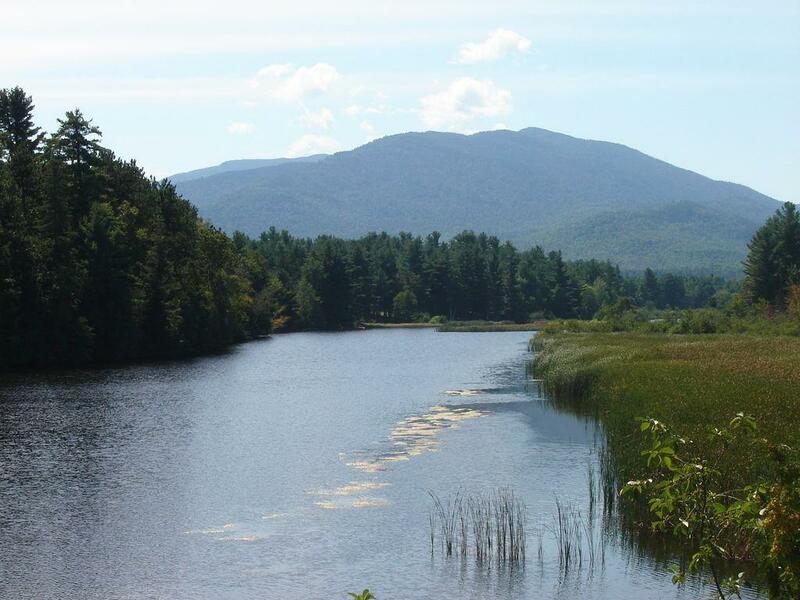 It is 5 minutes from Whiteface, and 20 min from Lake Placid. The The sleeping accomodations are comfy and inviting. I have been an instructor well over 25 years, believe me this is the choice of skiers. It was very nice that the drive was only 6 mins to the ski resort and about 25 minute drive to Lake Placid. The condo was very relaxing after a long day of skiing at Whiteface with a fire place, board games or cards available to play and very comfortable beds. The property lived up to the listing and description. Very comfortable, immaculate, and spacious. 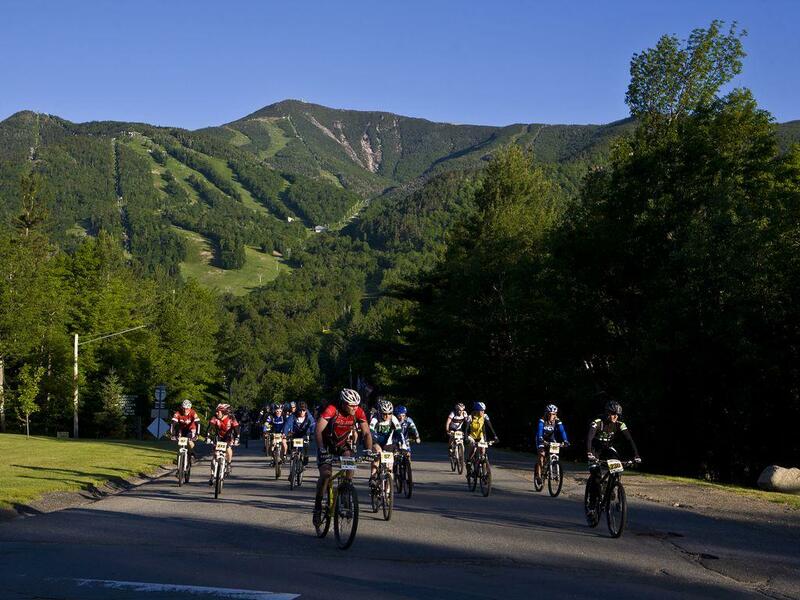 The location in proximity to Whiteface and to Lake Placid made it ideal. The property manager made great recommendations for things to do after skiing ski and where to dine. Apparently he is also first rate concierge! We would love to come back in the future and would recommend it enthusiastically to anyone. Before I comment on the actual property I need to comment on Don the property manager. During our stay, we experienced some car trouble due to the cold weather. We were four people, so we weren't sure if the tow truck could bring us all home. Feeling kind of helpless we called Don to ask him to help us arrange a taxi to get us to the town-home. He offered to pick us up himself. He also offered to help us if we needed a rental as well. Thanks Don! 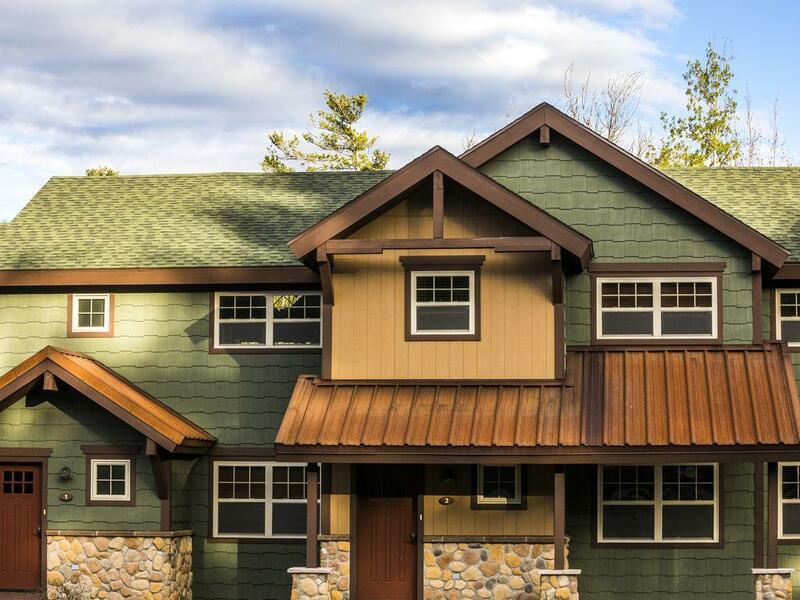 Now I will comment on the actual property.This property is about 3 miles from Whiteface Mountain and about 20 minutes from Lake Placid. The most important thing for me when staying away from home is cleanliness, and that’s exactly what we got. Everything else was just a bonus. Nicely furnished, and thoughtfully decorated. 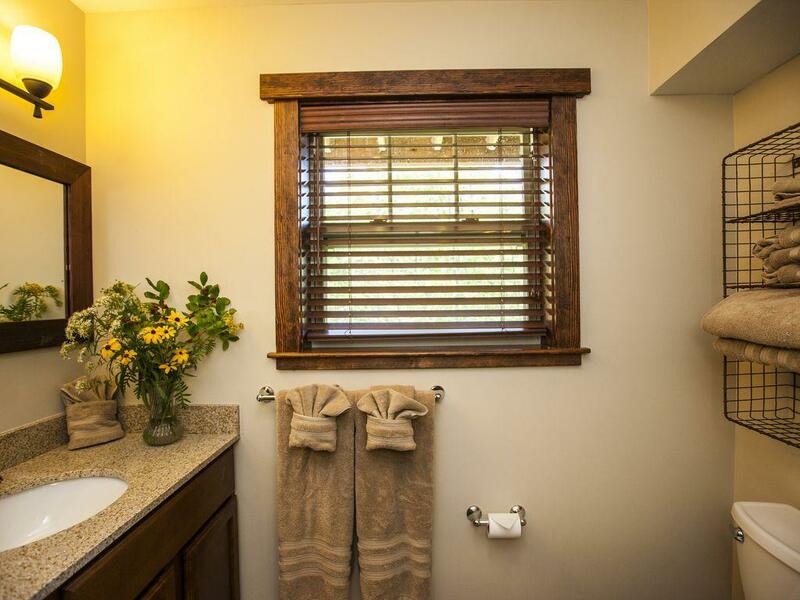 The town home was spacious and had little added touches that made all the difference. It was definitely designed with skiers/snowboarders in mind. The mudroom made it easy for my kids to put on and take off all their gear, and the cute hooks everywhere helped keep everything tidy. I would definitely stay here again! nice house. uptairs very clean. location: on the road some trafic goes by so there is some noise, but a 5 minute walk brings you to the riverside, in a beautiful parc qith picnik tables and swings! description: the condos or units 1-2-3 are part of the same house. we could hear the folks nextdoor. service: the rental service was cordial and Vicki extremely helpful. 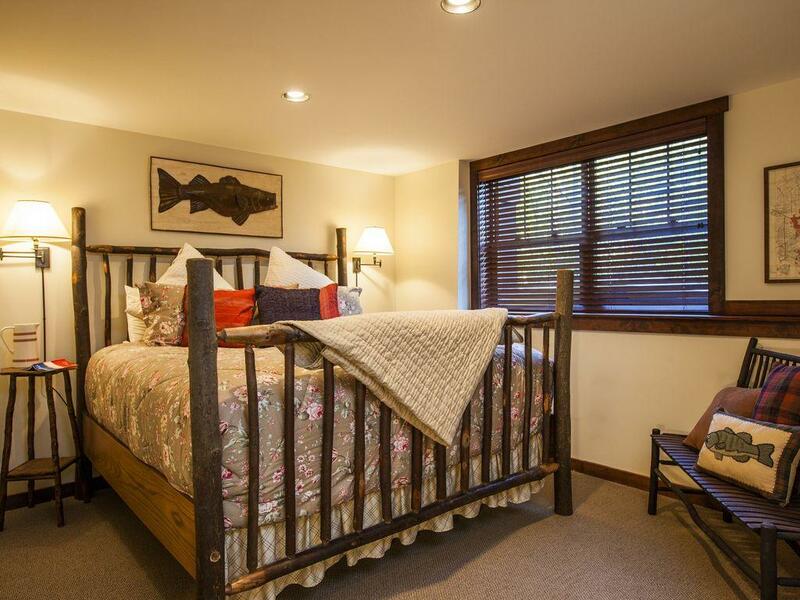 We had a wonderful, restful, and enjoyable stay in this cozy but spacious townhouse. Plenty of room to spread out as well as a good amount of privacy for our group of five. 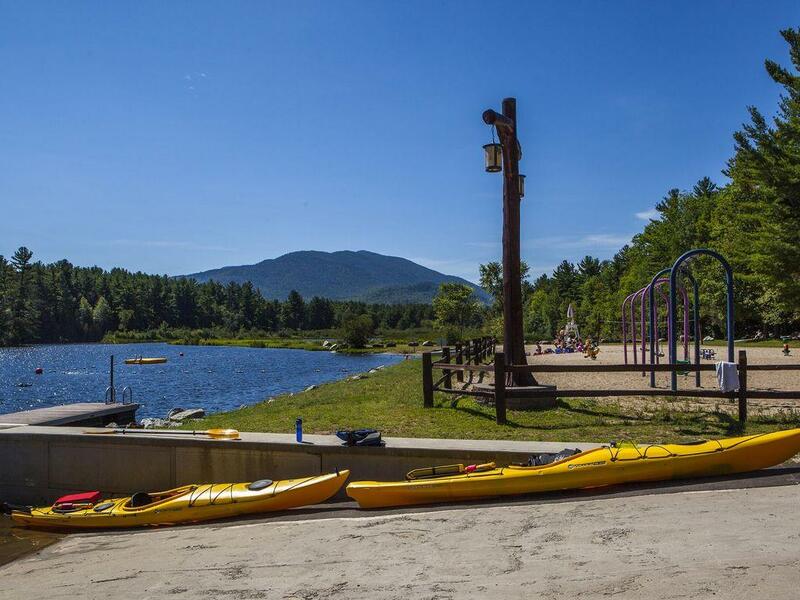 Good location near Whiteface Mt and Lake Placid. Absolutely beautiful surroundings. We got some good hiking in as well as spending enjoyable family time in our comfy temporary home. We would definitely come here and stay again! Although I ideally wanted to stay in lake placid because it was ironman weekend, wilmington was a close option. In the end, I couldn't have been happier. Wilmington is a close 15 minutes away drive from the town of lake placid, where you will find restaurants, shopping, and a great place to stroll around. Immediately you could tell that the unit was practically brand new. 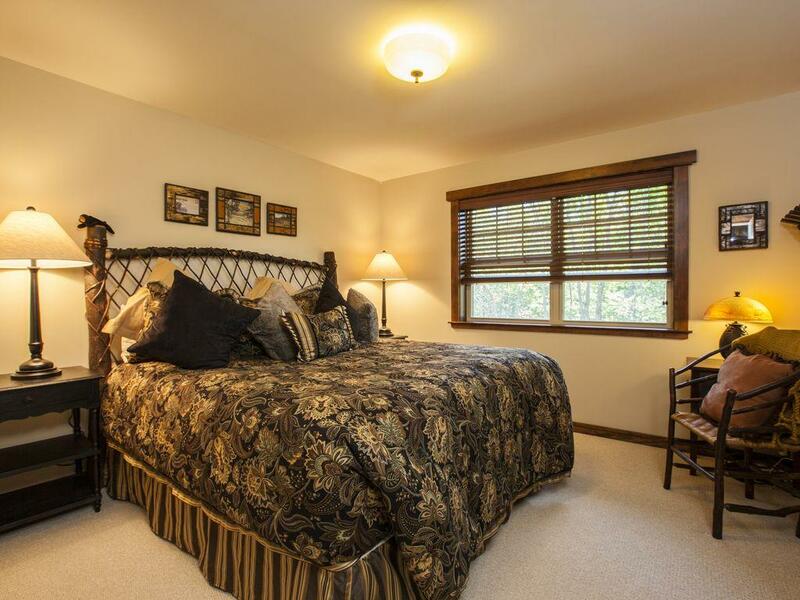 The condo was extremely clean, well decorated, and equipped to handle 9 people sleeping. There were 4 bedrooms The master, which was on the first floor, had its own bathroom. The other bathroom had to accommodate 7 people, unless the people in the master allowed entrance into their room. The condo is also located right off the main road, which seemed odd, but in the end it didn't matter. There was a small lake at the end of the road which we didn't use, but was conveniently situated if you wanted to do non motorized boat activities. The location was convenient to local hiking areas. This property seemed newly constructed. I'm sure this is not true but we felt like we were one of the first few renters using the properly. It was very clean and well kept. We were 3 families (6 adults + 2 kids) and felt the house was large enough for us. There is no AC in the house but the property owner was nice enough to bring us some fans. We eventually realized that it gets pretty cool at night so we could've slept even without the fans (some of us used it, some didn't). Behind the property, there is a park with slides and swings for kids. There is a lake where you can swim or launch your boat. Overall, I would highly recommend this property. My family and I had a wonderful weekend at the Owaissa Club. 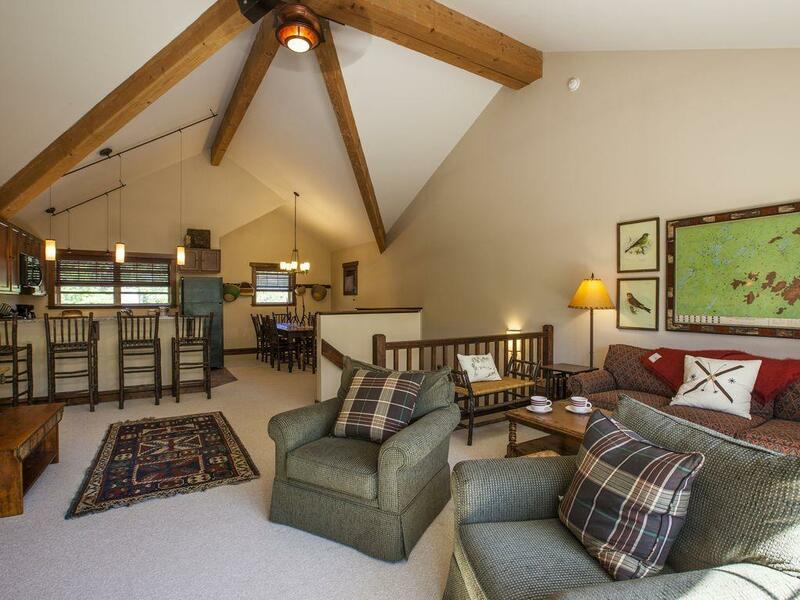 We arrived on a Friday night to find the heat turned up and the lights on, what a nice way to walk into the beautifully appointed (in the modern adirondack style) 3 floor condo after a long ride! We found the accommodations to be absolutely immaculate, nicely decorated and close to all you would need or want - a two minute car ride brings you to a small supermarket for your grocery needs, a five minute ride is all it takes to get to the Whiteface base lodge, and a 20 minute ride gets you into the village of Lake Placid, where it is always fun to soak up the Olympic history (we caught a hockey game at the "Miracle On Ice" arena) or enjoy a meal at The Cottage (located on Mirror Lake, it is a great spot, no matter the season). Our weekend visit was made all the better with the great accommodations, which were spacious and had everything you needed to prepare meals and relax and enjoy without worrying about what we needed to pack/bring. We would definitely recommend Owaissa Club to others, and as a matter of fact, we already have -- our friends have secured a June weekend and are looking forward to it. 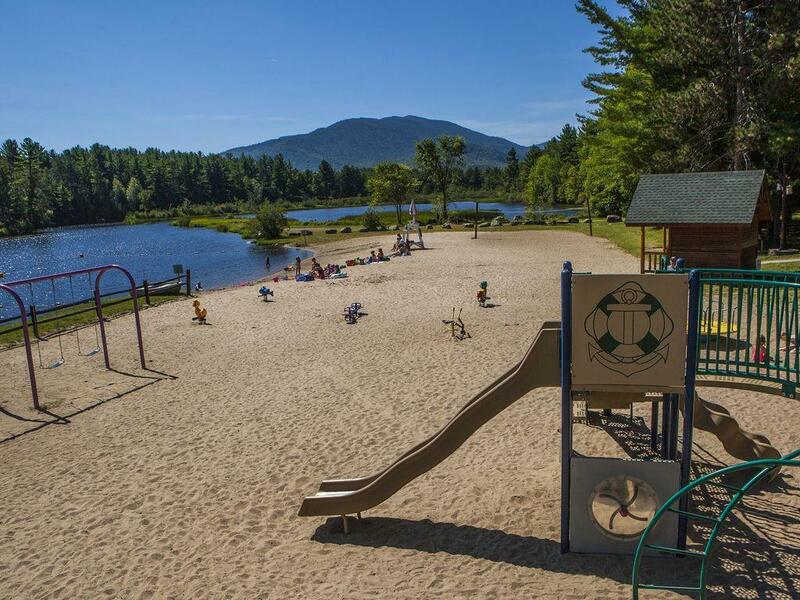 We hope to get back soon in the warmer months to take advantage of the beach on the AuSable River that abuts the property, and to play on the playground -- our six year old was disappointed it was covered in snow during our stay! All in all, a great time and we highly recommend it.